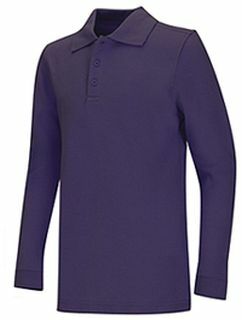 Long sleeve unisex adult polo in pique knit with 3 button placket (left over right) and matching knit cuffs. Colorfast 60% cotton / 40% polyester blend is easy care wash-and-wear. For Preschool sizes 2T-4T see style 58350 and for Youth sizes XS-XL see style 58352.